To help you decide whether a particular rose is suitable for you rose garden design, the heights and vigor are included, but it must be remembered that under very good growing conditions, these are likely to be greater, and vice versa. The heights, unless specified, are graded as below: short: up to 2 ft. 3 in. ; medium: 2 ft. 6 in.-3 ft. 6 in. ; tall: 4 ft. upwards. Alec’s Red This has large, full, perfectly formed, wonderfully perfumed cherry-red flowers, borne on strong stems. It is vigorous, a little under average height. Alexander A 1972 introduction, a rose of promise, this has an outstanding brilliant vermilion color. The flowers are large. It is vigorous and tall and appears to be healthy. Anvil Sparks A unique rose with sweetly scented coral-red blooms, punctuated with golden yellow stripes and spots. It grows as a low compact bush. It can be used both in forward positions in borders and for bedding and its blooms are good for floral decoration. Blue Moon The silvery-blue, full, shapely flowers are very fragrant. It is vigorous, of medium height. Good for floral decorations. The best of the ‘blue’ roses. Bonsoir The large, full, well-shaped blooms are deep apple-blossom pink in the center, paling to shell-pink on the edges, highly fragrant. It is vigorous, of medium height. Chicago Peace With its rich pink, canary yellow and copper tones, this has been aptly-described as a ‘polychrome’. It has large, well-formed, slightly perfumed flowers. It is vigorous and tall-growing. Duke of Windsor This rose is brilliant orange-vermilion. It has very fragrant, full blooms of moderate size. It is vigorous, but forms compact, bushy plants that are not more than 2 ft. tall. It is a little prone to mildew. Ernest H. Morse The blooms are a striking rich, turkey-red, full and of good form, very strongly scented. It is vigorous, upright growing tall and disease resistant. Fleet Street A 1972 introduction of great promise. It has large, strongly perfumed, full blooms, deep rose-pink, slightly lighter on the reverse. It is vigorous, of medium height. Fred Gibson The apricot and old gold blooms are large, very full and of excellent shape; fragrance slight. It is vigorous, grows tall and is normally healthy. An outstanding exhibition rose. Grandpa Dickson Its lemon-yellow, very full, shapely, slightly scented flowers, fade to creamy yellow with a flushing of pink on their-petal edges. Vigorous and tall, it is generally healthy. Long-lasting in water and excellent for showing and floral decorations. Isobel De Ortiz The large, fragrant, very full, perfect blooms are deep pink with silvery-white reverse. Very vigorous and tall ; a superb exhibition rose. John Waterer This has deep rose-red, large fragrant, full flowers, borne either singly or several together. 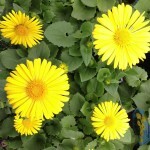 It is vigorous, branching and tall, with strong flower stems, making it excellent for cutting. Message Pure white with a slight green tinge in bud. Large well-formed, full flowers, produced freely on long stems, excellent for cutting, slightly scented. A vigorous grower, medium height. It dislikes rain. Mischief This has beautifully formed, fragrant, salmon-pink flowers, highly resistent to wet. It grows to medium height. Its flowers grow in trusses. Mullard Jubilee Its strongly perfumed, flowers, moderately sized and very full, are a striking cerise pink, borne in clusters, as well as singly. It is robust, of medium height, resistant to diseases. Peace This famous rose has large, well-formed, slightly fragrant, creamy yellow flowers, edged with pink. It is exceptionally vigorous and tall, and although over thirty years old, it is still a bestseller. Excellent for cutting, showing and borders. Piccadilly A lovely rose with flowers scarlet, flushed gold, with gold reverses, moderately full and high-pointed, slightly scented. It is vigorous and upright, of moderate height. It is the best bicolor. Pink Favorite Deep rose in color, its flowers are large, full, perfectly formed and slightly perfumed, produced in large clus­ters, or, when disbudded, it produces excellent show blooms, and thus can be used for showing or grown informally. It is vigorous, of medium height, almost immune to diseases. Red Devil This has very large, perfect, scented, very full blooms, crimson, with a slightly paler hue on the reverse. It is vigorous, healthy, tall, but objects to rain. Royal Highness White with slight blush pink. It has large, perfectly shaped, sweetly scented blooms on strong stems. It is vigorous, growing just above medium height. An excellent exhibition rose. Sante Fe This has large, full, rosy-salmon­pink flowers, lighter on the reverse. It is vigorous, of medium height. It is unaffected by bad weather. Wanda Beauty A 1972 introduction. The fragrant blooms are brilliant deep yellow, well-formed and neat. It is strong growing, 21 ft. tall. It flowers early. Wendy Cussons The beautiful large, well-formed, cerise pink flowers come fairly early. It has a strong old-fashioned rose scent. It is vigorous, upright and tall. Whisky Mac With its medium-sized flowers, very shapely, strongly scented and golden orange in color, this is an unusual rose of bushy growth, below medium height. Allgold One of the best of the yellow flori­bundas, this has scented golden-yellow, well-formed flowers, semi-double and often 3 in. across. It is short and compact in growth. Ama This produces large trusses of semi-double, bright scarlet flowers, about 3 in. in diameter. It is vigorous and grows tall, with­stands bad weather and is healthy. Arthur Bell This is another lovely yellow floribunda, with deep golden blooms, that change to creamy yellow with age. They are full, well-shaped, and very fragrant. It is vigorous, grows tall and upright and is usually very resistant to diseases. Bangor A 1972 introduction. Its semi-double, large blooms are unfading carmine-pink. Vigorous and branching, 2 ft. tall. It appears to be healthy and weather resistant. Bonfire Bright orange-vermilion, slightly lighter on the reverse, the moderately full, well-formed flowers of this floribunda are produced in shapely clusters. It is a compact grower, of medium height. The blooms are much appreciated by flower arrangers. Copper Pot This has neatly formed, moderately full, coppery orange blooms, a color that is popular with flower arrangers. The fragrant flowers are often 3+-4 in. across. It is moderately vigorous but forms a tall bush. Evangeline Bruce The flowers are yellow, edged and flushed with rose, with a pre­dominance towards the latter. They are full and loosely formed, and borne in trusses of as many as twelve blooms. It is vigorous, reaching rather more than average height. Evelyn Fison This has large clusters of semi-double vivid scarlet flowers. It is vigorous, of medium height. Generally it is healthy, but a lookout should be kept for mildew. It faces bad weather well. Grace Abounding This has plentiful, creamy white, double flowers, that open to show their stamens and are pleasantly perfumed. It is vigorous, of average height. Heaven. Scent This is outstanding for its delicious fragrance. It is deep pink-rose in color and its full, double flowers are well-shaped. It is a strong grower, on the short side in height. It flowers early. Iceberg The blooms, carried in small or medium trusses, are full, pure white, but the buds are sometimes tinged pink and the flowers are spotted pink in cool weather. It is vigorous and grows tall, sometimes reaching to ft. and making a good hedge. Meteor This rather older floribunda has withstood the test of time. It has brilliant vermilion, full flowers, 24 in. across. Its growth is branching and short, and it is excellent for small gardens. News This is a sensational shade of beet­root purple. Its moderately full fragrant blooms are brilliantly lit up by their bright golden stamens. Bushy and compact, it reaches medium height. Orange Sensation The vermilion blooms are shaded orange at the base, moderately full and fragrant. It is vigorous and branch­ing, a compact bush of medium height. It needs protection against mildew and black spot. Picasso Its moderately full blooms rather prettily show their stamens in the center of the beautiful multicolored petals. The whole ensemble might be likened to a pink, carmine and white pelargonium. It has a bushy, compact habit and a height of about 20 in. which make it suitable for small gardens. The beautiful blooms are excellent for floral decorations. Satchmo The blooms are full, double and shapely, of the most outstanding, constant, vivid scarlet color. It is vigorous, but grows a little below average height. Southampton This is a 1972 introduction, which during its trial period has been consistent and healthy. Its moderately full flowers are apricot-orange in color with a little flush of scarlet on the outside. It is very vigorous and a little over medium height. Tip Top The large, full, salmon-pink blooms are borne in large trusses, produced freely and continuously. It is vigorous, but has a dwarf, bushy habit and is particularly attractive for use in small gardens. Courvoisier The strongly perfumed flowers are very full, ochre-yellow in color and often 4-in. in diameter, borne either singly, or several together, on a stem. It is of medium height, upright. Lively Lady The large double, well-formed, bright vermilion blooms have a pleasant scent. It is healthy, of vigorous habit, growing to medium height. Marjorie Anderson This was a 1972 introduction. Its full, high-centered, hybrid tea-form flowers are cerise-pink. They are produced freely and continuously in clusters and are fairly strongly perfumed. It is vigorous and bushy growing 21 ft. tall. Moonraker The flowers which are 4-} in. in diameter are cream, which turns white in hot weather, and which is flushed with honey to amber in cool. The vigorous growth pro­duces a tall, branching bush. Queen Elizabeth Introduced in 1955, this lovely rose, with its large, pink, moderately full, hybrid tea-shaped blooms, finds a place in many gardens. Its blooms are borne on almost thornless, stout stems, sometimes singly, sometimes in large trusses. Very vigorous and upright, it reaches 6 ft. or more. It makes an excellent hedge. Violet Carson The flowers are a delicate soft peach with a silver reverse, full and of almost perfect hybrid tea-shape. Growth is vigorous, of medium height. This group, historically important, because its members are the fore-runners of our glorious present-day floribundas, has be­come neglected in more recent years. With the increasing popularity of small gardens, they could easily come into their own again, particularly because they are dwarf, rarely exceeding 2 ft. in height, and recurrent blooming, bearing their colorful, small blooms in delicate clusters. They are excel­lent for edging, forward positions and bedding. Cecile Brunner This charming rose has tiny, pale pink, perfectly formed hybrid-tea type blooms, growing well-spaced in trusses. It is repeat-flowering. If it is lightly pruned, it makes a good specimen. Eblouissant The large, scarlet crimson, semi-double blooms are 2 in. in diameter, borne in small clusters. It is very short. Ellen Poulsen The small, deep pink flowers are very attractive. Growth is vigorous, spreading and height low. Golden Salmon Superieure This is an extremely bright, free-flowering rose, about 2 ft. high. Its blooms are a vivid golden-salmon. Paul Crampel Free flowering, this has large clusters of small, orange-scarlet, semi-double flowers. It is moderately vigorous and makes a compact bush. It is excellent for more forward places in informal settings. Its color is exactly that of the geranium, ‘Paul Crampel’, and it is an excellent permanent replacement for that bedding plant. The Fairy This is very free-flowering with full, pale pink flowers. Growth is vigorous, spreading and low in height. These bijou roses have blooms that are diminutive replicas of the hybrid tea and floribunda roses. The bushes are tiny and the flowers are in proportion to their size. 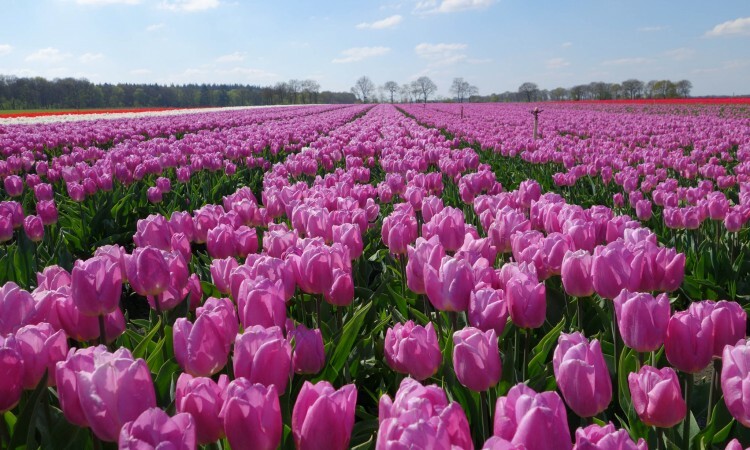 There is a wide range of varieties available, in heights from 4-15 in. They are ideal for small gardens, and rock gardens, sink gar­dens and window boxes, but should be given a minimum depth of soil oft ft. In patios and terrace gardens, they can be most effectively used to create a miniature rose garden in a raised bed. Those marked below with an asterisk are obtainable as standards and it is also possible to buy the following as climbers: ‘Yellow Jackie’, bright red, ‘Magic Wand’, bright, rich pink, `Pink Cameo’, and ‘Showoff’, buff-yellow flowers with red and orange touches. Humpty Dumpty The rose-pink flowers are very full and t in. across. Height 4-6 in. Blanc Double De Coubert (Rugosa) This has large, richly fragrant, snowy white, semi-double flowers with a buff and green center. It is repeat flowering. It grows vigorously to 5-6 ft. It is excellent for hedging. Frau Dagmar Hastrup (Rugosa) This has single, pink blooms with delicate veinings, which show their large, creamy centers. It is very free- and recurrent-flowering, and the flowers are followed in the fall by large, rich red, tomato-shaped hips. It reaches 5 ft.
Mme Hardy (Damask) The exquisite, richly fragrant, large, white blooms are flat, perfectly cupped, with folded petals and a green button eye. Vigorous to 5-6 ft.
Mme Pierre Oger (Bourbon) This bears cup-shaped, very fragrant blooms, cream, flushed rosy pink, freely throughout the summer. Slender and erect, it reaches 6 ft. It makes an excellent specimen. Tuscany (Gallica) A remarkable rose, with semi-double, intense dark purple-crimson, almost black, flowers, with brilliant golden stamens. It grows into a sturdy bush about 4 ft. tall. Popular with flower arrang­ers. William Lobb (`Old Velvet Moss’) (Moss Rose) The fully double, 3-in. diameter, richly-scented blooms are a medley of fuchsia purple and lilac with gray touches, giving them a shot-silk appearance. It grows vigor­ously to 7 ft. and is much appreciated by flower arrangers. Ballerina The masses of dainty, small, single, fragrant, apple-blossom pink flowers, with a white eye are borne in large clusters. It grows vigorously to about 5 ft.
Bonn The fragrant, moderately full, ver­milion blooms are 3 in. across. It is vigorous, upright and tall and easily reaches 5 ft. Buff Beauty This rose has buff or apricot-yellow, large, fully double, very fragrant blooms in large clusters. 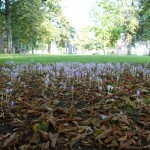 It is repeat-flower­ing and its blossoms become very plentiful as the summer advances. It has a vigorous, spreading habit and reaches 5 ft. Cocktail This has single crimson flowers with a pale yellow center, borne in clusters. It is recurrent and free flowering. It grows up to 5 ft. high. Winter protection should be provided in very exposed gardens. Cornelia The small, semi-double, very fragrant flowers are strawberry-pink, with a yellow base. It is repeat flowering. Growth is vigorous, to 5-6 ft. and it is excellent for hedging. Elmshorn The small, fully double, light-crimson flowers, are produced almost con­tinuously until December. Vigorous, up­right and branching, it grows to 5-6 ft. and makes a good hedge. Erfurt The large, semi-single, strongly per­fumed citron-yellow flowers are edged brilli­ant pink. It is repeat-flowering. A very vigorous, bushy plant, it grows to 5 ft.
Fred Loads This is almost perpetual in flowering and produces masses of 4 in. wide, scented, single, vermilion flowers, in large heads. Very vigorous, upright and tall, it grows to at least 5 ft., makes a very good hedge and is excellent as a specimen. Golden Chersonese A beautiful shrub rose, this has small, single yellow flowers, in May and June along the whole length of its shoots. It is very bushy. Lavender Lassie A very charming, sweetly scented variety, this bears an abundance of huge trusses of lilac-pink, rosette-shaped flowers, up to 3 in. across. It is moderately vigorous in growth and reaches 4-6 ft. It is valuable for hedging and as a specimen. Nevada The almost single blooms are creamy, sometimes tinged blush, with bright golden stamens. The flowers straddle the whole length of its arching, thornless branches, throughout the summer. Vigor­ous, to 8 ft.
Nymphenburg The pale salmon-pink blooms with gold tints are large, full and fragrant, periodically in clusters. Vigorous, it reaches 6 ft. and makes a color­ful hedge. Penelope Large, semi-double, very frag­rant, creamy salmon-pink flowers are carried in large clusters. As the blooms age, they become off-white. It flowers freely and re­peatedly throughout ther. Moder­ately vigorous, it grows to 6 ft., and makes an attractive hedge. The Knight This is another ‘David Austin New English Rose’. It has the most beautiful, flat, full-centered carnation-like flowers not unlike those of the old gallica rose. The color is rich crimson with touches of varying shades of purple. A tough grower, reaching 2 ft. The Wife of Bath This charming little rose is one of the ‘David Austin New EnglishRoses’, suitable for modern small gardens. It has small cupped, old-fashioned rose-type, warm pink, fragrant flowers. It is vigorous, but reaches 20 in. in height only. Wilhelm The flowers are semi-double, about 4 in. in diameter, velvety scarlet-crimson, borne almost continuously throughout the summer in great clusters. Vigorous, 6 ft. high, it makes a beautiful, strong hedge. Rosa moyesiiA splendid shrub, this has dusky red, single flowers with cream sta­mens. These are followed in the fall by large, bright red, bottle-shaped hips. The dainty, fern-like foliage is dark green. It is very vigorous and will grow to high height. R. rubrifolia The attraction of this species lies in its lovely bluish-gray foliage, tinged with a deep rosy shade, and its red stems. Its purplish-red flowers are insignificant, but they are followed by attractive dark red hips. It grows vigorously to 6-8 ft., and for the sake of its foliage, it is sought after by flower arrangers. R. sancta This is massed with 4 in. wide, apple-blossom pink single flowers, fading to white. They have huge golden centers and buds are rich pink. It grows to 3 ft.
R. xanthina spontanea(`Canary Bird’) A very lovely species rose with rich yellow, single blooms 22 in. in diameter. In May or sometimes in April the flowers straddle the long arching stems. It makes a very attrac­tive shrub, 6 ft.h and 6 ft. across.